Norn9 ノルン＋ノネット: Otomaru Heishi (review+walkthrough) | It's a wonderful world! First impression, Heishi is the loud guy who is always having fun. And cue Hiroyuki Yoshino voice at that. I thought I wrote too much comparisons with Akito and Senri in this review, so Heishi fans, here’s an early warning! So we have a hikikomori, a hot-headed guy… now it’s an energetic genki-guy who is always positive, kind, and airheaded no matter what! Heishi’s the loudest person in the group; he’s soooo loud dude, I think I hurt my ears when I finished his route -_-; (more on that on the character voice part). Anyways his ability is pretty much known to everyone: telepathy! Like he can communicate with others through mind and stuff. But he isn’t a pro yet in using his powers… like this one time when what he was dreaming of flowed into the others’ minds! (sadly, we weren’t able to see a similar occurrence in the entire game (ﾉﾟ0ﾟ)ﾉ). He’s also in good terms with Itsuki: he’s often playing card games with him till late at night (or sometimes, until morning! ), like what we were told in Senri’s route. And HEIshi’s interaction with Itsuki reminds me so much of HEIsuke and Harada from Hakuouki. Ghad, Hiroyuki Yoshino and Yusa Koji… I cannot unhear ((((；゜Д゜))). Take for example their first kiss. When I was playing Senri and Akito, I was soooo surprised with their respective first kiss that I literally jumped off my chair while playing (yeah, that’s how I play otome games yo XD). And then I pause playing, and take a fifteen-minute break to let every feels sink in XD. But in Heishi’s route… Okay, I was surprised with the kiss. I wasn’t expecting it, like how I didn’t expect Senri’s and Akito’s. But my reaction was only something like, “Okay. They kissed. Moving on…” No fluffy feelings and whatsoever. Anyways, at least Heishi’s route made me laugh AND cry. (SPOILER!) Heishi’s past broke my heart. And when Nanami had to erase his memories when Ron ordered her to? My tears all over the place yo. Heishi’s soooo loud ghad my poor ears. Well at least he is funny, so that makes up for it. 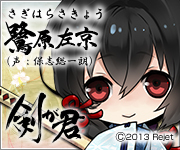 But this Hakuouki reference doesn’t help aghh. It’s like I’m playing Heisuke’s route again XD. And as I said, those Heishi and Itsuki conversations remind me of Heisuke and Harada. //Because Hiroyuki Yoshino and Yusa Koji. Anyways, I’m not a fan of Hiroyuki Yoshino. 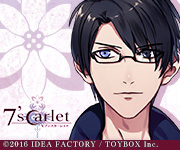 I don’t ever want to listen to his dummy head mic recorded drama cds :/, if there is one… is there? LOL Heishi is voiced by Yoshino? XD oh geez, how can you not help but compare them. He’s not my favorite voice but I loved Heisuke’s character. Thanks for posting so much on Norn9! It’s not spam at all! I love the artwork so much too <3 <3 . haha, maybe Heishi was Heisuke in a past life XD. I've heard Yoshino's voice in one other game, but the character was very different! still a loud young guy but that's where the similarities end lol. The first time I played it was years before Hakuoki so it was kind of disturbing when I realized it at some point. 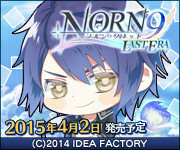 I've seen some stuff about Norn 9 before, but your posts make me really want to import it XD.